But despite all this talk, our collective progress toward achieving gender parity in corporate leadership has plateaued. In the U.S., progress for women on boards slowed to 1 percent growth compared to 36 percent growth in the last four years. This limited progress lately is frustrating, and certainly doesn’t match the stated intent of so many business leaders. So, what is standing in the way of progress? We’ve studied and analyzed diversity at a global level for the last 12 years, and our latest data shows slim representation of women in board seats (19 percent), but even lower numbers in key executive positions (4 percent of CEO roles globally and 11 percent of CFO roles). Even more stark, half of the countries (22 of 44) we examined have no female CEOs or CFOs at all. With most boards seeking experienced directors, CEOs or CFOs to join their ranks, a shortage of female executives and sitting board members naturally results in fewer female board contenders than male. So how to break the cycle of underrepresentation? The key is to address the executive pipeline and ensure that women occupy more of the “feeder” seats into boards. Unfortunately, I haven’t found a silver bullet to this challenge, but I believe that a combination of deliberate and persistent actions taken at the top will shift the balance. Let’s be clear – companies are full of talented women. Female college graduates have outnumbered males for decades, and recent research from Catalyst.org revealed that among the U.S. S&P 500, women made up nearly half of the labor force (44 percent). However, representation drops at every progressive level of leadership, to 35 percent of mid-level managers, 25 percent of executives, and a paltry 5 percent of CEOs. 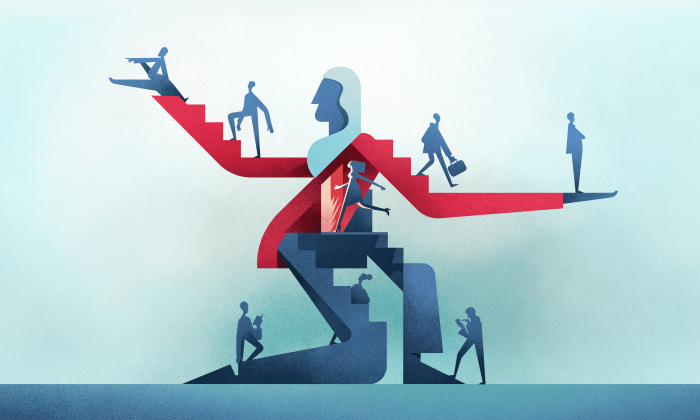 Why is representation at the top so different from the inflow of talent into organizations? One contributing factor is that men tend to be promoted based on potential while women are promoted based on already delivered results, a phenomenon captured in studies by Catalyst and LeanIn.org, to name two sources. We applaud the philosophy of awarding stretch assignments partly based on potential, but companies should ensure they are stretching and promoting highpotential women at equal rates to high-potential men. How do you identify potential? The easy pattern to fall into is to identify those whose behavior most closely mimics your own. After all, you’ve been successful, so others like you probably have the same ingredients that will beget their success too. However, stepping back from this natural bias to take a wider view spotlights how incomplete that approach is. Can we be more objective in identifying potential? The simple answer is “yes”. Our research among 30,000 executives globally identified a few key ingredients: high intellectual curiosity; the ability to synthesize what you learn into strategic decisions; the ability to engage others; and the resilience and determination to work through barriers and setbacks. Our research does NOT indicate a gender skew to any of these attributes. 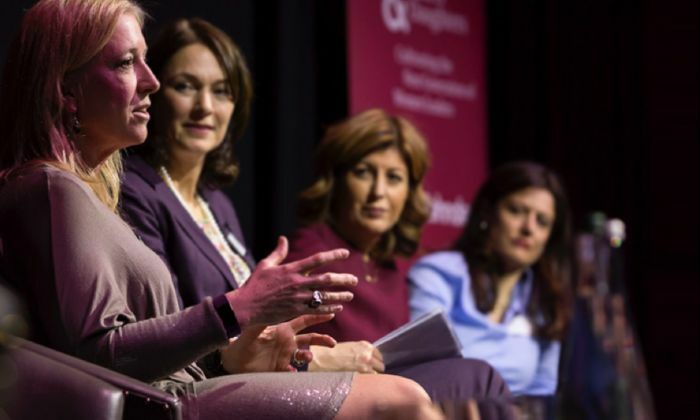 Challenge yourself to place high-potential women on succession plans for key roles at equal rates to the availability of female talent one level down. And challenge yourself to place an equal burden of proof for results on both women and men before deciding who gets the promotion. If your company decides on succession plans for plum roles the way most of my clients do, then there are probably a handful of key leaders who are very influential at identifying talent for future crucible assignments. These leaders become career sponsors to high-potential talent they know well, so to address gender imbalance on succession plans, sponsors must be connected to high-potential women in equal numbers to men. I encourage both leaders and rising female executives to reach out and make those sponsorship connections in both directions. And it is important to recognize the role of sponsor is not the same as a mentor who provides counsel and support. A sponsor plays a deliberate role to advocate for an individual’s career development within the organization. To do that, conversations with a sponsor should include career objectives and the additional experiences necessary to achieve those objectives so that he or she can help create opportunities to fill the gaps. Nurturing can’t stop once a woman “arrives” in a plum assignment. Organizations should invest time and effort integrating leaders into their new assignments to enable them to quickly feel rooted in the new team and rapidly gain the followership needed to drive results. The more different individuals are from the environments they are entering, the more important accelerated integration becomes. For a woman promoted into her first C-suite assignment, she is likely joining a peer set and possibly even a team of direct reports dominated by men. Perhaps she is even joining an entirely new company with a new culture to learn. These are circumstances where cultural dynamics can be misunderstood or missed completely, and that can set a new relationship off to a slow or challenging start. I define accelerated integration as a series of steps in the first weeks a leader takes on a new role to identify areas of harmony and contrast between the new leader’s approach and the existing cultural norms in the team. For example, we’ll do a deep-dive cultural assessment prior to onboarding, and then conduct a moderated but very open dialogue with the incoming executive and her team. These early efforts are followed by progress check-ins over the first 90 days to ensure the leader and her new organization are gelling and that any opportunity areas are identified and discussed in real time. To see a different balance of representation at the top of organizations, it is critical that we address imbalances within the pipeline that leads to the top. Taking actions like the three laid out here provide systemic and tangible steps to do so. If there are things you are doing in your organization that are also helping to improve diversity in executive leadership, share your ideas with the community. It will take a diverse group of problem solvers to push through the current plateau. In a business environment characterised by rapid change and high levels of ambiguity and uncertainty, where the ability to mobilise talent is perhaps the greatest differentiator of corporate performance, the role of the Group HR Director has become more critical than ever before.